In February last year, Honda promised four launches in the Financial Year 2018-19. So far, they have introduced the new Amaze, updates Jazz and the new-generation CR-V. The final launch of the year, the new Civic, is the one that a lot of enthusiasts have been waiting for. The Japanese carmaker is expected to launch the Civic sometime in March. One of the biggest reasons for the low sales and eventual discontinuation of the previous generation model was the absence of a diesel variant. This all-new model will get a 1.6-litre four-cylinder 120bhp motor. This motor only comes paired with a manual transmission - there is no news of an automatic variant as yet. The gasoline will be a larger 1.8-litre mill that puts out about 140 horses. The petrol will come paired with a 6-speed manual and a CVT. The Civic that will make its way here will have the fastback like styling from the international spec model. It gets a nice bold grille up front, much like the rest of the Honda range on sale currently. 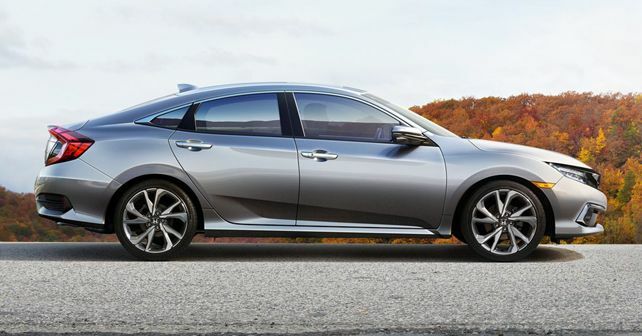 The 17-inch alloy wheels and the sharp boot give the Civic a unique and new-age appeal. When launched the Civic will compete against the likes of the Skoda Octavia, Toyota Corolla Altis and the Hyundai Elantra. Expect it to be launched in the Rs 18-24 lakh bracket.